Magento’s great – we’ve written about it here and here – but sometimes it has...issues. (Hey, nobody’s perfect.) 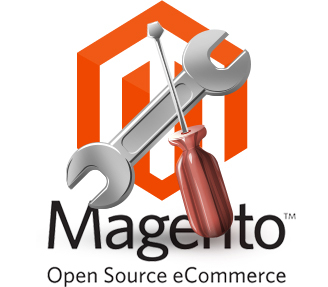 Here are a few quick fixes for Magento problems that may be bugging you. PROBLEM #1: I can’t configure Magento for a new domain. Go to cpanel -> phpMyAdmin. Find the core_config_data table under the Magento database, click Browse, and click the pen icon to edit the first two fields. Replace your old domain name with your new one, and hit “Go” to save. This is simple! Just delete the entire cache folder in your installation directory at /var/cache. PROBLEM #2: I need to reset my admin password. FIX: Go to cPanel -> phpMyAdmin and select your Magento database. Paste this query under the SQL tab (and, of course, change out ‘newpass’ and ‘AdminUsername’ with your updated info). Click Go to change! You’re good! PROBLEM #3: I need search-engine-friendly URLs. FIX: Here’s how to enable SEF URLs. Log in to your Admin page and find the System navigation menu under the Configuration button. Now go to the sub-navigation panel on the left and switch to Web page. You’ll see some blue lines, representing closed options tablets. Now click Search Engine Optimization and indicate “Yes” under Use Web Server Rewrites. Hit the Save Config button, and you’re good to go. PROBLEM #4: My store is too slow! PROBLEM #5: I need to redirect my store to open through www. Now save the .htaccess file and go back to your site’s admin panel. Follow System -> Configuration and then hit the Web button on the left panel. Unfold the “Unsecured” menu and change your Base URL option from http://yourdomain.com to http:/www.yourdomain.com. Then save the changes. Bingo! Your Magento site is now accessible only through the www. address. For part 2 of our Fixing Magento Problems series, check back soon!